In the aftermath of Hurricane Sandy, many businesses in Manhattan are up and running while affected areas in New Jersey and near Coney Island and Staten Island are still struggling. Aside from this unexpected natural disaster, storm season is upon us and that can result in power outages. That's why it's important for business owners to equip themselves with back-up strategies and cloud recovery solutions. If your data is saved to a cloud recovery network, you can easily access your data or other time sensitive projects from anywhere. Many employees who lived in Brooklyn, but worked in lower Manhattan, were able to be productive from home and complete projects because their information was available on a cloud recovery system. Here are a few reasons why using a cloud recovery system, like the time-saving and efficient virtual private server or VPS at MyHosting can save a business time, resources and money. Sure businesses are utilizing cloud computing solutions as a means to create a remote back-up, but the smart startups are discovering they can forgo the costs of keeping a physical office and have employees tap into a business network from anywhere. Cloudtweaks.com points out allowing employees to work from home, aside from being convenient for employees, can save a business in the costs that incur from renting an office space, electricity and other expenses. Having a remote office also allows a business owner to sidestep the added headache that comes with making a physical office space up to OSHA code and standards. Saving your project to a cloud computing system is especially great if you want to share files and work on projects with other collaborators. Google Drive offers a free program that allows users to work on projects remotely. While observing a document, spreadsheet or power point presentation, users can change a document and observe the changes made in real time by their collaborators. This type of cloud computing solution is a free and convenient way to access a project and be sure you and your collaborator are on the same page. Cloud computing solutions like Microsoft Office 365 ProPlus Preview offers users the ability to share, collaborate and connect with users who have access to the shared network. Users can enjoy the ability to chat, video conference and share files instantly, keeping co-workers connected during times of difficulty, due to storms or power outage. Even if you don't have a pressing project that must reach completion before the office is back up and running, you can catch up on all of the water-cooler conversation with your cubicle mate. While businesses with more antiquated means for data recovery, back-up and file sharing are using external hard drives, flash drives or even emailing files to each other, the next generation of small business owners and entrepreneurs are arming themselves with new and better technology, like private and public network servers, that will save them hard earned money when, not if, the next natural disaster hits. Monica Rodrigo, a recent transplant from Mexico, Monica has made it her mission to make all countries and regions Internet accessible. Yes... 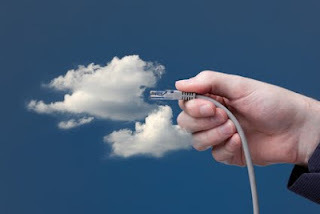 Even I completely rely on cloud computing and virtualization for my business. Thanks to the IT solutions provider company who handles all my work. With cloud computing even It support becomes really easy and even other tasks.